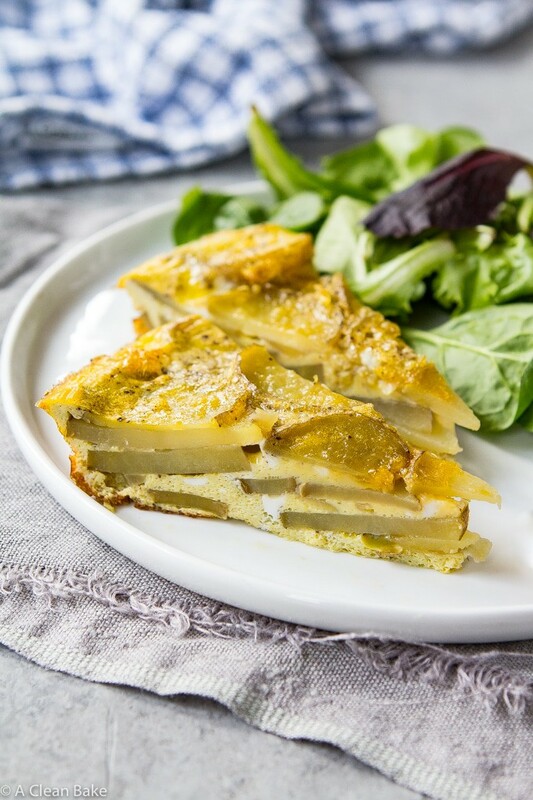 A Spanish tortilla is a baked egg and potato omelette which is far more than the sum of its parts. It’s a perfect quick dinner or easy brunch dish. It’s hardly as though you’d wake up one morning and think “I could really go for some potatoes cooked in eggs with a little salt and pepper” but that’s what this is. It’s simple, it’s a little drab, and you know what else? It’s magnificent. An ingredient that is plentiful to anyone who owns chickens, ugly ingredients that are yanked out of the ground, and the bare minimum of flavoring agents and cooking fat. …and yet, something happens when it all bakes together. 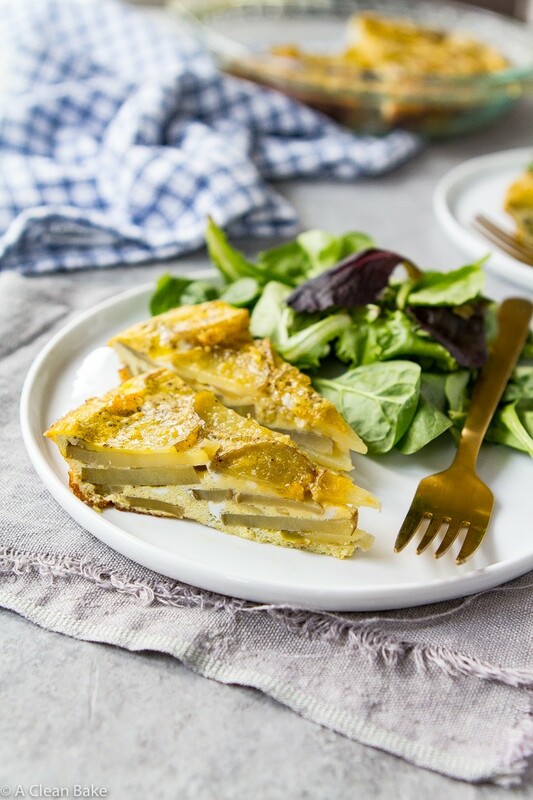 It’s the kind of dish that, logic says, shouldn’t work, but probably thousands of years of Spanish grandmothers can assure you that it does and which you no longer need to overpay for at a tapas restaurant because you wouldn’t believe how easy it is to make your own Spanish tortilla at home. 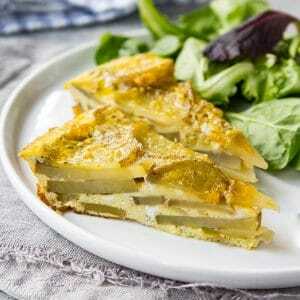 A Spanish tortilla is a baked egg and potato omelette which is far more than the sum of its parts. It's a perfect quick dinner or easy brunch dish. Preheat the oven to 375°F. Grease a 9.5" pie plate and set aside. Preheat a large skillet over medium heat and add the olive oil. Once the oil has heated, add the potatoes and onions and cook, stirring gently, until the potatoes are tender and the onions are translucent. Bake for 30-40 minutes until firm. You can serve this as an entree or an appetizer or brunch item. 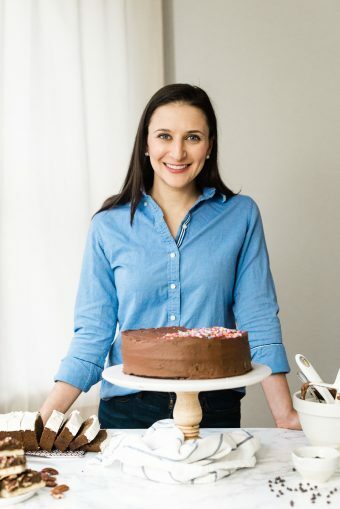 To serve a crowd: place an upside down dinner plate over the pie plate and quickly flip the pie plate (holding the dinner plate firmly against the rim) to turn the tortilla out onto the plate. Cut into 8-12 thin slices (do not remove any slices), top with a generous handful of fresh herbs, and place in the center of the table for diners to help themselves. 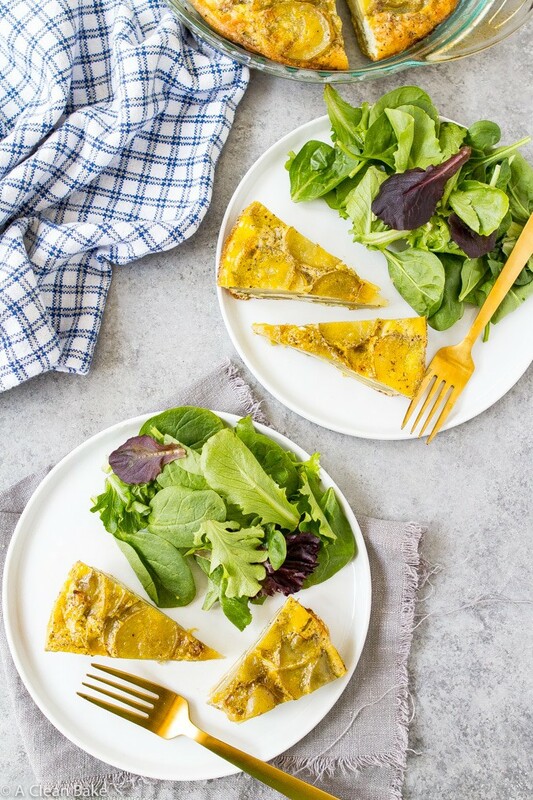 Note that a traditional Spanish tortilla is made in a pan on the stovetop, but this version is baked in the oven - more like an Italian frittata - because the trade off for authenticity is an easier and more fool-proof recipe.